Human Rights Watch is calling on Mexico’s president, Enrique Peña Nieto, to develop a strategy to investigate and stop enforced disappearances on the part of that country’s security apparatus. In a 176-page report titled, “Mexico’s Disappeared: The Enduring Cost of a Crisis Ignored,” the non-governmental organization documents 249 “disappearances” during the administration of former President Felipe Calderón, from December 2006 to December 2012. In none of these cases have the people responsible been convicted. 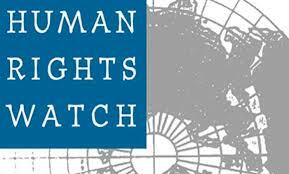 In 149 of those cases, Human Rights Watch found compelling evidence involving the participation of state agents. According to Human Rights Watch, members of all branches of the security forces have been involved: the Army, the Navy, and the federal and local police. In some cases, there is evidence that the crimes may have been planned and coordinated. Even more worrying, in over 60 cases there was evidence that state agents collaborated directly with organized crime groups to “disappear” people and extort payments from their families. The documented disappearance point to a more horrific reality. A provisional list compiled by Mexico’s Federal Prosecutor’s Office (PGR) and the Interior Ministry, which was leaked to the media in November 2012, said that more than 25,000 people were “disappeared” or reported missing since 2006. Sadly, in Mexico prosecutors and law enforcement officials have consistently failed to search thoroughly and promptly for people reported missing or to investigate those responsible. In fact, Human Rights Watch says that these officials blame the victims and tell families it is their responsibility to investigate, whereupon they are faced with “recurring delays, errors, and omissions”. Despite promises in the last year of his administration, president Calderón never completed a national registry of the disappeared, or submitted a legislative proposal to Congress to reform the Code of Military Justice, something that complied with four rulings on the issue by the Inter-American Court of Human Rights. Where victim’s families have had some success is at the state level, such as in Nuevo León, where government officials and prosecutors have begun to investigate a select group of approximately 50 disappearance cases. However, at the federal level Calderón made matters worse by denying that security forces had committed human rights violations. The president was riding a wave of public opinion support for the security forces, particularly the Army and the Marines, but that has come back to haunt him. 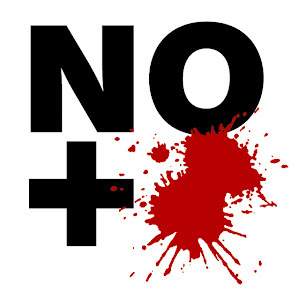 Mexico’s violence-weary middle class will often respond to pollsters supporting a “law and order” agenda, but huge segments of the population are not tracked by public opinion polling, and the poor and the indigenous – hardest hit by the insecurity in the country – voted in droves against Calderón’s PAN party in last year’s elections. At the federal level, Enrique Peña Nieto has adjusted the dials somewhat, promising a national gendarmerie and investing more in crime prevention, but his overall strategy appears to be little different from Calderón’s. February 15, 2013: When is a university not a university?